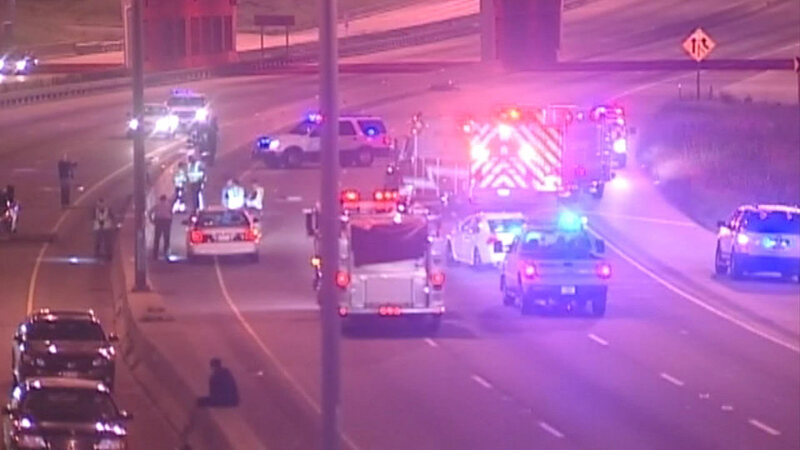 HILLSIDE, Ill. (WLS) -- Two people were killed in a motorcycle accident on the Eisenhower Expressway near Hillside early Sunday morning. All lanes have re-opened on I-290 after a crash that killed at least two people near Hillside, police said. Police say 41-year-Old Matt Summers and 21-year-old Miranda Valles were traveling eastbound near Mannheim Road on a motorcycle and lost control, colliding with the cement median around 2 a.m. Sunday. The two were then ejected into the westbound lanes of I-290 and the motorcycle struck a light pole, which fell into the expressway's eastbound lanes, police said. Friends held a fundraiser Sunday night for the families. "She's just an interesting girl that can't be replaced, one of a kind," said friend Mike Taylor. "Matt's just an overall amazing dude. Caring, very well spoken, hard worker." Investigators say the motorcycles were traveling in a big pack and were speeding.